Please welcome today’s anonymous author for another critique. I hope you’ll take the time to give this writer some feedback and encouragement. Muffled cheers boil up as another wild turquoise wave curls and hammers some two dozen surfers. Joe snaps photos from his stony perch jutting high above the Orange County beach he passes each day on his way to see Deborah at the nursing home. A storm in the Pacific is the source of today’s breakers and Joe’s luck behind the lens of his digital 35mm camera. If not for the surfers being knocked around like thumb-flicked marbles, Joe would be somewhere else. Anywhere that the retired teacher can lose an hour, a morning, a day framing light and shadow. Without bells, lesson plans or students to button his days, Joe wears time like a loose tee shirt, slipping in and out of its arms with little thought, except for the thick belt cinched around his waist – his wife, Deborah. His laughing Debbi, who puckered up and stretched into green air two years ago to plant a kiss on the Blarney Stone while he stood behind the lens taking photos of their dream vacation. His muttering Deb, who now lies curled in knotted sheets in the Alzheimer’s wing of the best facility he could find within an hour of their comfortable L.A. suburb. Below, surfers’ heads pop like corks as they jockey for spots aboard the next big wave. Joe frames a close-up of one balding fellow with a long scar across his muscled calf and then plays with the angle of the rising sun. He spends part of each day with Deb, but it no longer matters if he’s there for breakfast or lunch or dinner. Her days, like his, have lost their composition. A year ago, with prompting, she could still frame their past, their daughters, their desire. This past Christmas she greeted him with a beatific smile as he entered the door: “Oh, it’s my Bobby, my handsome Bobby!” Robert Joseph. The stillborn son they buried on New Year’s Eve almost twenty years ago. These days she looks through him like a lens. « Could Someone Be Plagiarizing Your Writing? I really enjoyed this excerpt. The language is sophisticated and smooth, and there’s some beautiful imagery. It also tugs at the ol’ heartstrings! -“Muffled cheers boil up as another wild turquoise wave curls and hammers some two dozen surfers.” There seems to be just a little too much in this sentence. 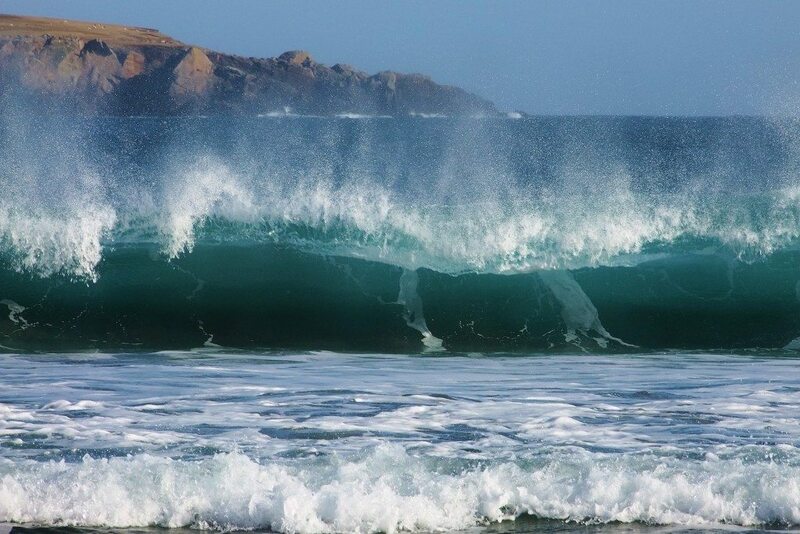 You have not only the wild turquoise waves, but the wave curling and hammering, and muffled cheers boiling. Sensory overload. I’d consider taking out a few of the descriptors. -“Joe snaps photos from his stony perch jutting high above the Orange County beach he passes each day on his way to see Deborah at the nursing home.” I had to read this twice because I expected the sentence to end after ‘beach.’ Would it work better as two sentences? -“A storm in the Pacific is the source of today’s breakers and Joe’s luck behind the lens of his digital 35mm camera.” I also had to read this sentence twice to realize you meant the storm is the source of the waves, as well as the source of Joe’s luck. It’s a bit awkwardly worded. -When you come out at say Joe’s a retired teacher, I feel like you could weave that information in more subtly. It seemed out of place to me. I loved the entire last paragraph, and as far as I’m concerned, it’s perfect. I especially like the last line. Not my favorite point of view but that’s a personal choice on my part. The only semi-issue I have is that while this author has a powerful way with words, a few times I had to really make a conscious effort to glean the images from them. I understand the need for conciseness and aside from that this is pretty impressive. The author has done a great job here my kudos to him/her. The idea of Deb once being able to frame their days is, of course, a perfect companion to his photography. I like the last line especially. I do think that some of the sentences run on a bit, though; while I do love the images, I think it could benefit from a little tightening. I just loved it….short- succinct…conveying extremes of beauty and pain….wow!!!!! !